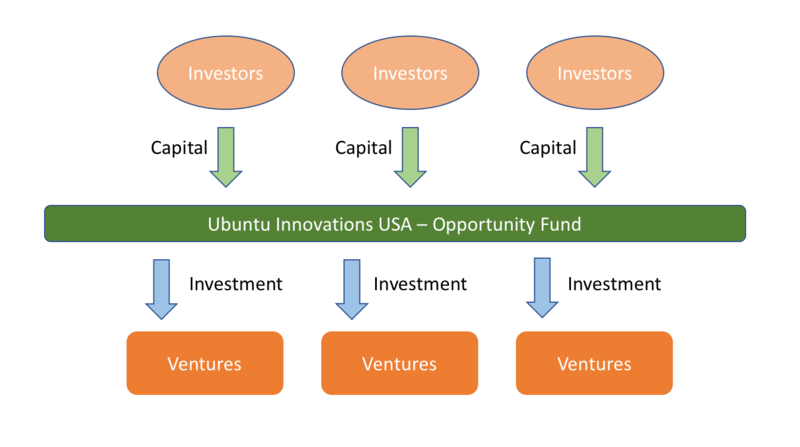 Ubuntu Innovations is a venture capital firm. We receive capital from investors, and we create and fund our own ventures in Ubuntu VIllages from a wide variety of developed business plans. With the capital gains tax breaks now offered to investors from the IRS, we are a Opportunity Fund. As an Opportunity Fund, Innovations receives capital from investors, and invests on their behalf in ventures we create and manage, providing oversight and guidance. We offer 25% profit sharing to investors where their capital was utilized. After all expenses and taxes have been deducted, the remaining profit pool is divided four ways. Investors receive 25% of the profit pool in the form of monthly dividends. Investors receive profit sharing for the lifetime of the business within the Ubuntu Village. The workers in the community receive 25% of the Profit Sharing pool in the form of additional bonuses. Community workers � volunteer minimum of 3 hours per week to receive (for free) goods/services created by the community. Training to learn new skills is provided at no cost for their participation with the intention to being Full Time workers.